STOCKHOLM, Nov. 1(Greenpost)–On October 26th, the Nordic Innovation Center Beijing Park was officially unveiled. 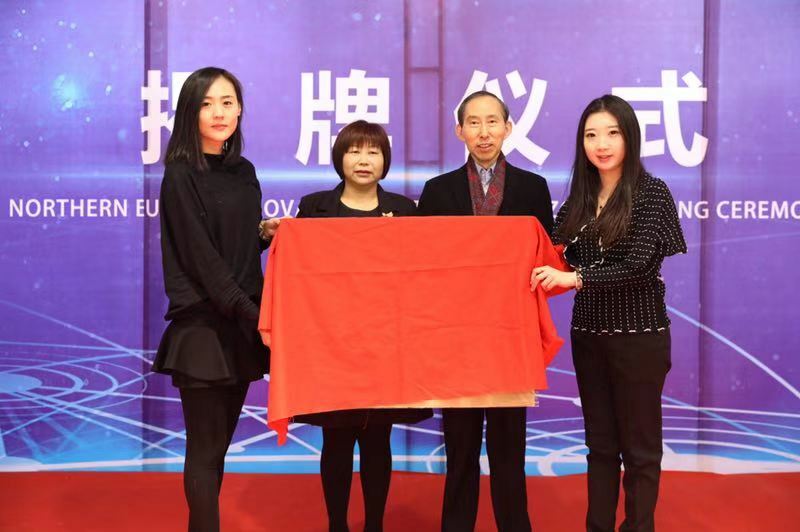 Chairman of the China International Cultural Communication Center Long Yuxiang, President of the Swiss-Chinese Entrepreneur Association and Chairman of the Nordic Innovation Center, Ms. Zhang Qiaozhen attended the ceremony and unveiled the ceremony. Relevant leaders from the National Foreign Cultural Trade Base, Beijing Shunyi District, Beijing Tianzhu Comprehensive Bonded Zone Management Committee, Beijing State-owned Cultural Assets Supervision and Administration Office, Beijing Tianzhu Customs, Beijing Municipal Party Committee Information Department, and Cultural and Tourism Department External Relations Bureau attended the unveiling ceremony. On October 26th, the opening ceremony of the “One Belt, One Road” Cultural Trade Exhibition Branch of China Beijing International Cultural and Creative Industry Expo in 2018 was held in the Tianyi Free Trade Zone of the Beijing Cultural and Trade Base. The Nordic Innovation Center Beijing Park was unveiled at the grand opening ceremony. At the unveiling ceremony, Chairman of the China International Cultural Communication Center, Mr. Long Yuxiang, fully affirmed the extensive work done by the Nordic Innovation Center in the practice of the “Belt and Road” and expressed high hopes for the future development of the Nordic Innovation Center. Ms. Zhang Qiaozhen, President of the Swedish-Chinese Entrepreneur Association and Chairman of the Nordic Innovation Center, said at the opening ceremony that since the establishment of the Nordic Innovation Center, more than 100 innovations projects have been established in Northern Europe and China. 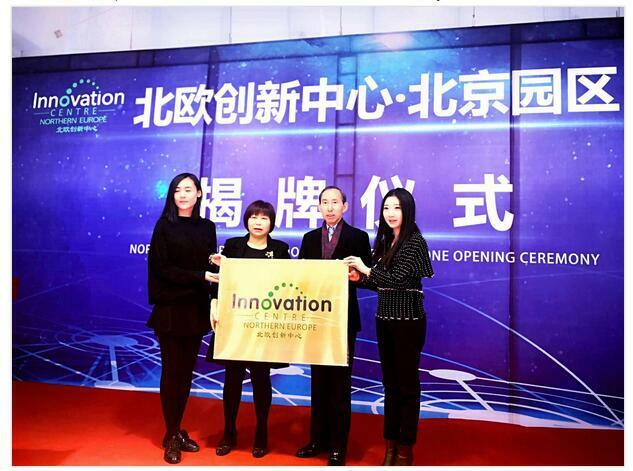 In 2018, the Nordic Innovation Center established Shenzhen Headquarters and Shantou Sub-center in Shenzhen and Shantou, China respectively. She said that today the Nordic Innovation Center officially settled in the national foreign cultural trade base (Beijing), the frontier position of the Chinese culture “bringing in and going out”, and grandly listed in the political, cultural and economic center of the motherland, is a milestone of the Nordic Innovation Center. The big event marks the Nordic Innovation Center will enter a new stage. In the future, the Nordic Innovation Center Beijing Park will become a new operation center in Greater China and even in the Asia Pacific region. It will better serve innovative entrepreneurial organization and individuals in need around the world. This time, the Nordic Innovation Center is able to establish a far-reaching cooperative relationship with the National Foreign Cultural Trade Base and Beijing Wentou Group, and join hands to create an innovative international cultural platform. She is very happy and confident. The Nordic Innovation Center was established in August 2017 and the Nordic headquarters was established at the World Trade Center in Stockholm, Sweden. The Nordic Innovation Center, as a professional and innovative project integrated operation platform, focuses on the latest technological innovation companies in Northern Europe and the world. The Nordic Innovation Center enters China through a Nordic project or enterprise that is optimally adapted to China’s capital and industry positioning, and through its established project management mechanism, provides project introduction and evaluation and China’s industrial policy for domestic and overseas projects seeking Chinese funds and the Chinese market。The center also provides consulting, innovative R&D support, project planning, financing and guidance, industrial parks and capital docking, market-oriented counseling, such as the transformation of scientific and technological achievements, corporate listing incubation, IPO counseling, exhibitions and other solutions. It is reported that those who were present at the opening ceremony include Peter, chairman of the Haskoll International Architecture Design Company in the United Kingdom, Henry, General Manager of Greater China, Aaron Sun Bin, CEO of Peacock Greater China, and Secretary of the Party Working Committee of the Overseas Chinese Experimental Zone in Shantou, China. Wu Xianxian, Director of the Management Committee, Chen Yizhong, Secretary of the Working Committee of the Commission, and Lu Qunhua, Deputy Director of the Management Committee of China Haining High-tech Park, Chen Yang, Deputy General Manager of Shantou East Coast Investment Construction Company, Song Shutao, Chairman of the Supervisory Committee, and Guangdong Overseas Chinese Big Data Co., Ltd. Manager Ren Tao.